Last year, BMW sold more than two million cars around the world, achieving a new full-year sales record and making it one of the most premium luxury sports cars available. For those of you who have been living under a rock for the past century, BMW is one of the most respected German automobile manufacturing companies to date. Founded in 1916, Munich, BMW has evolved dramatically over the years, providing sophisticated engineering with state of the art technology, to give drivers the optimal driving pleasure. But how well do you really know the BMW brand? Well, you’re in luck as not only do we specialise in offering the best BMW servicing in Leicester, we also have a few interesting facts we’d like to share about BMW that you probably didn’t know already! There’s been an on going theory that the logo colors represents a propeller as BMW began as a company that made engines for aeroplanes, however, in fact, the logo represents the blue and white flag of Bavaria, the federal state in Germany. You may think electric cars are modern technology, however, the concept of an electric car is quite old. BMW built their first electric vehicle, the 1602e back in 1972. Unfortunately, it never made it to the market. The car could only travel 37 miles on a single charge, therefore the overall project wasn’t considered to be a huge success. In 1937, BMW built an aerodynamic motorcycle that hit speeds up to 173.7 miles per hour. In 1928, BMW gave birth to their first car known as the Dixi, thankfully the name was dropped and changed to DA-1. The Dixi reached a top speed of 75mph which was considered pretty fast as the car only has 15 bhp. The mileage on the car was also very economical giving 51 miles per gallon. 6. Front signature Grille on a BMW is known as a kidney grille. The first kidney shaped grille made its debut in 1933 on a BMW 303. The post-war era was a difficult time, especially for the German automotive industry. One of the most troubled companies was BMW. In 1959 BMW neared bankruptcy and was almost taken over by Mercedes, however, BMW pulled back as they found a private investor, Herbert Quandt – a German industrialist, who saw potential in the company and knew they could be huge one day. The BMW headquarters in Germany is a very interesting building that mirrors the 4 cylinders of a car engine. The tower was completed in 1972, just in time for the Olympics. The 4-Cycle engine is also the same technology that went into the legendary fighter pilot, Red Baron – The greatest engine in WWI. Don’t the most important fact… Did you know, at Auto Technik we provide MOT and car repairs for your BMW without the dealer price tag? Contact us today on 01455 698481 and we’d be more than happy to help. Top 5 reasons why your BMW Check engine light will come on! 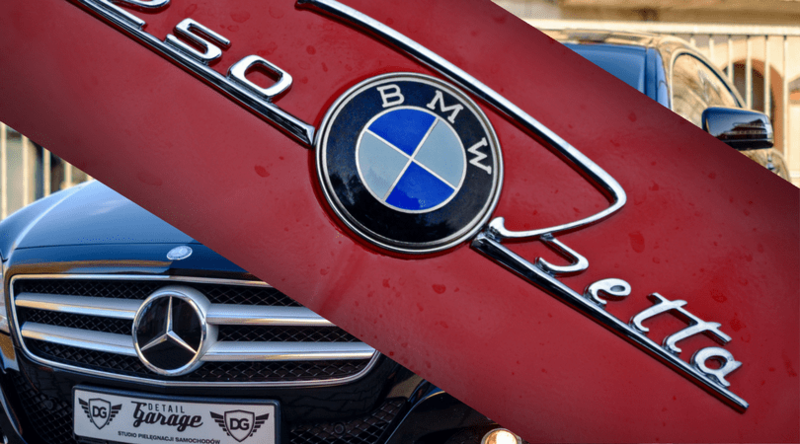 BMW vs. Mercedes: Which should you buy?